As promised at the end of the „Oscars 2011: Spotlight on…” series, I am back now that the nominees for the 94th Academy Awards have been announced to take a look at the state of the race before the winners will be made known this Sunday, February 26th. At this point all major guilds in the industry have handed out their prizes making the race look much clearer than before. In my previous articles series on the Oscars my main reference points have been awards given out by critics’ association and as we know, they are not part of the Academy’s of Motion Pictures and Arts voting body. Last Academy Awards race has shown it best when The Social Network emerged as a clear frontrunner after sweeping all the critics awards, only t be clearly pushed in the background when the guilds showered The King’s Speech with their awards leading to an inevitable Best Picture win. This three-part articles series will focus on all categories and shortly discuss the state of the race for each and every category except for the shorts. The third and final part of the series takes a look at the categories Best Documentary, Best Animated Feature, Best Foreign Language Film, Best Director and, of course, Best Picture. This category is always good for a surprise. Thematically, Paradise Lost 3: Purgatory looks like a winner. It’s topical and acclaimed. However, having aired on HBO in January might hurt its shot at a win as might the fact that this is the third part of a three-part documentary movie series (and the first one to be nominated). Undefeated currently looks to take the trophy. Its inspirational story is great cinematic material and, most importantly, it is backed by the Weinsteins who are on a roll this year with movies like The Artist, My Week with Marylin and The Iron Lady in the race. If there is any film to upset it, then it will be Wim Wenders’ Pina. It’d be an unusual choice as it is the first ever 3D documentary to even be nominated, but Wenders has quite a reputation, it is his second nomination and the film is quite successful at the box-office too. Moreover, it actually came close to being nominated as the Best Foreign Language Film as well. Thanks to an unusual (and what some might call silly) voting process no category at the Academy Awards is known for frontrunners losing the award as much as this one. The examples are endless and include Pan’s Labyrinth which was nominated for six Oscars and won three, but lost this category to The Lives of Others. Another famous would be the five-time nominated Amelie which lost to No Man’s Land and the clear frontrunner The White Ribbon which lost out to the fairly unknown Departures. 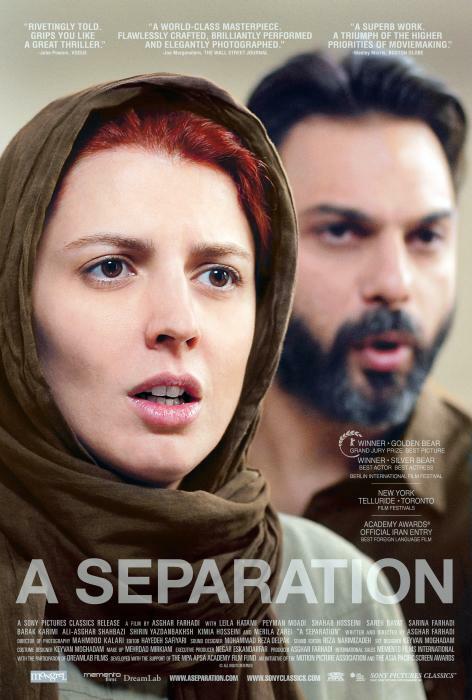 So this year we’ve got another clear frontrunner – A Separation. The Iranian film has won almost everything so far in the Best Foreign Film category and even scored a Best Original Screenplay nod at the Oscars. By the sheer precursors it’s an unchallenged winner. However, never count out a Holocaust-themed movie. Poland has In Darkness in the race and it might pull an upset. This is Rango’s to lose. With no Pixar nominees this year, it’s an easier field. Kung Fu Panda 2 and Puss in Boots are solid enough, but they won’t challenge Rango. If any film will, it’ll be one of the two surprising small nominees – A Cat in Paris or Chico & Rita. However, an upset here seems extremely unlikely. Gore Verbinski will take this home. To most followers of the awards season this does not look much like a race. The Artist’s Michel Hazanavicius has won the BAFTA award for Best Directing as well as the Directors Guild Association’s award for Best Director. Combined, this is a great predictor of an impending Best Director win at the Oscars. 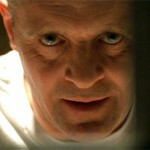 However, every once in a while there is a major surprise at the Oscars and I am sensing one this year. We haven’t had a Picture/Director split in a long time and this might be the year to have it. Now Woody Allen, Alexander Payne and Terrence Malick don’t really stand a chance. Their films are either too low key or too out there for the Academy. 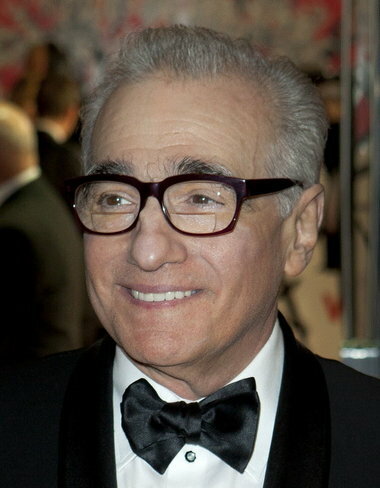 However, Martin Scorsese is a giant in Hollywood and while he has finally been rewarded five years ago for The Departed, it is his seventh Best Director nomination with only one win to show for. The Academy is finally showing some appreciation for him and I sense that he won’t end up with only one win in his career. Hugo looks like a great shot for him to win for. Like The Artist, it is a love letter to cinema and 11 Oscar nominations show that the Academy loved the film. The only major win that he has managed so far was his Golden Globe which, as we all know, doesn’t mean much. But I do think that Hugo will get more credit at the Oscars than people expect it to and I predict Scorsese to upset Hazanavicius here. I remember Stephen Soderbergh here who has lost the SGA and the BAFTA award for Directing, but yet wound up winning the Oscar, even though he was double-nominated (leading to the fear that he might just split votes). While some of the major categories might result in a close race, this seems a fairly no-contest thing. The Artist will take the big prize. The Wensteins are behind it, it is a movie about Hollywood (which the Academy loves), it is strong in the technical department and it has performed terrifically well throughout the awards season. Furthermore, it is actually quite successful at the box-office for a silent black/white film. I hope you enjoyed this and check out the first two parts of the series.